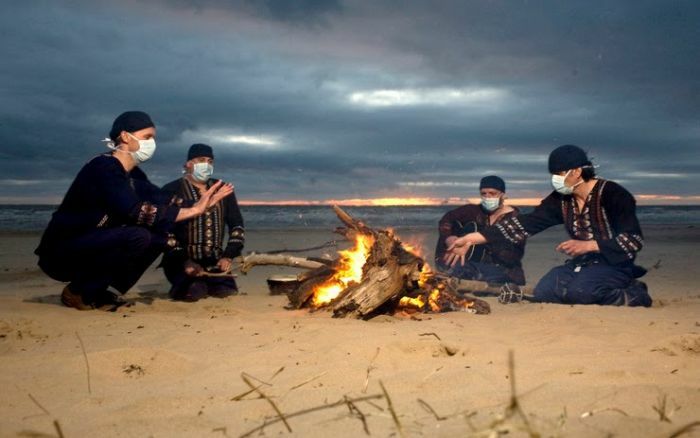 Catching Clinic’s Brian Campbell on their lunch break, Getintothis’ Del Pike gets the lowdown on the band’s legacy, why they’re playing LIV-BCN 2015 and what the deal is with those damn masks! Summer is a coming and it’s the festival season already. 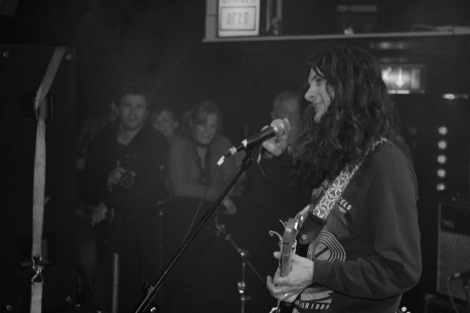 On the July 11 Liverpool’s Kazimier plays host to a top line-up of bands from both Liverpool and Barcelona as part of the LIV-BCN 2015 festival. Headlining on the day are Clinic. Hailing from Crosby and celebrating 15 years of what Wikipedia describes as English post-punk revival/ noise rock!! 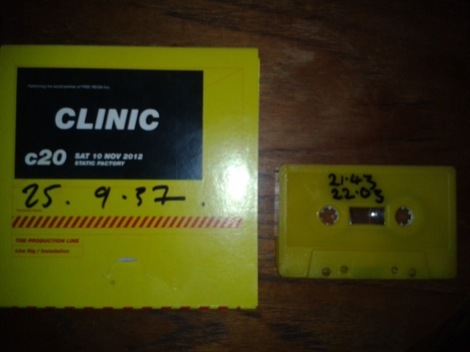 !, Clinic are very much a part of Liverpool’s music royalty and are very much one of this writer’s favourite bands. Part of the Clinic tradition is to never appear in public without their hospital scrubs on, complete with face masks. This explains why when we and Brian Campbell became work buddies last year it took me a fortnight to work out he was Clinic’s bassist. We did shamelessly admit to being starstruck for at least ten minutes. We met up with the ever amenable Brian for a lunchtime chat this week and asked him a little more about the unusual appearance of the band, basically will they ever give it up? “You should be the judge of that,” laughs Brian, “We would love to but it’s become as much a part of us as our music. Back to LIV-BCN, we asked Brian why Clinic got involved: “We were asked by Oriol Bosch (Liverpool based Barcelona boy) and we jumped at the chance really. This takes the usual perma-smile from Brian’s face. “It seems to be the thing that’s happening all over the world, these great little venues closing down. It’s absolutely disgraceful, absolutely dire, every few months now there’s another place where young artists in the city can play, is closing down, its scandalous. The changing landscape is clearly a concern for Brian, and he sees the importance of supporting young bands in these comparatively dark times. 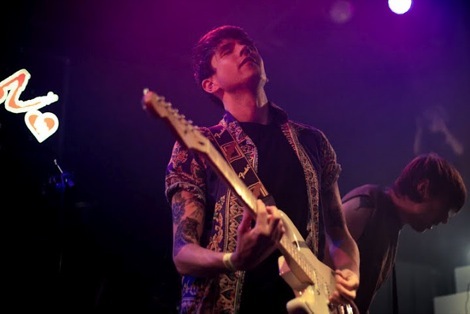 He fervently recommends Liverpool favourites Mugstar, Canvas and The Lucid Dream, the latter have accompanied Clinic to various European festivals and, according to Brian, are brilliant. This appears to reflect the current status of Clinic as international festival players, with more local dates becoming few and far between. “Yeah,” Brian agrees “We’ve been playing abroad a lot – far flung places like Sardinia, Sicily, Amsterdam and we’re off to Oslo soon. One off weekend festivals are our thing lately. LIV-BCN in some way fits the model but at least I’ll be sleeping in my own bed,” chuckles Brian. LIV-BCN audiences who are new to Clinic may be surprised by their unique sound, we asked Brian where this comes from. “As a four piece we have lots of different influences from the Velvets through the Modern Lovers, Kraftwerk, King Tubby and Dub stuff”. This has been a favourite criticism from music journos over the years, but as we offer to Brian, while every album has the distinctive Clinic sound but each has its own individual mood. Before lunchtime comes to an end we ask Brian what he sees as Clinic’s finest moment over the last 15 years. After musing over their Grammy nomination, their Radiohead support slot and John Peel being something of a fan, Brian settles for those numerous moments when magic occurs in the studio. “With Clinic it’s always been about the music,” recalling the early days Brian remembers some of their very first demos when the music finally clicked. For the best of Clinic check out Internal Wrangler (2002), Walking with Thee (2004), Visitations (2006) & Free Reign (2012). For tickets to LIV-BCN click here.